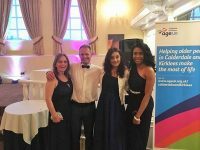 Age UK Royal Sapphire Ball – Friday June 9th 2017 Sleigh & Story are proud to sponsor a number of local charities. It’s a great feeling to give a little back to the community! 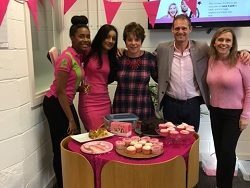 Sleigh & Story were pleased to join our friends and business associates in Thornhill Brigg Mills to help raise money for Breast Cancer at the "Wear It Pink" event. As. At Sleigh & Story we believe it is important for businesses to give something back to the community by supporting local charities. 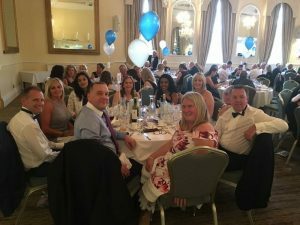 Peter is a trustee of two of the charities we support and the others are supported through corporate sponsorship..
At a recent charity auction I was asked if £60 paid for a cushion qualifies for Gift Aid. My instinctive response was ‘no’ but please read below to find out when it could qualify for Gift Aid. The purchase of items. Would you Like to Become a Forget Me Not Children’s Hospice 99er ? Last year Sleigh & Story signed up to become a Forget Me Not Hospice ‘99er’. This means that as a business, we have committed to donating a regular monthly amount to the.